Last time we went for something light and happy, “The Intern”. I absolutely loved Anne Hathaway’s clothes. 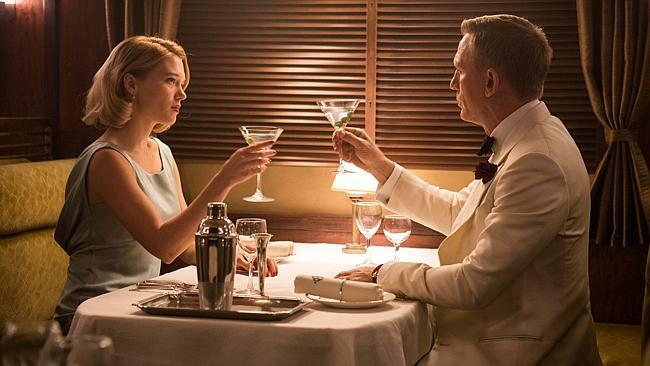 This time round we have our long-awaited appointment with 007….Spectre. MeinMann and I waited to be together to go and see the movie…the beautiful Everyman’s is fully booked solid for all weekend…we go to The Lights then. What shall I say? I loved the clothes. And the cars. And the watch. And of course the actors. I am a big fan of Daniel Craig…he’s done the best 007 ever. But this movie sadly has no decent plot. Craig is acting well in spite of the absence of plot here. Same for Léa Seydoux, fabulous diva in this movie. So what is the key take away of this movie?